THe 2015-16 AESHL Playoffs are in full swing and the scoring race is getting tight at the top of the list. Here’s a summary of the AESHL playoff scoring to date. 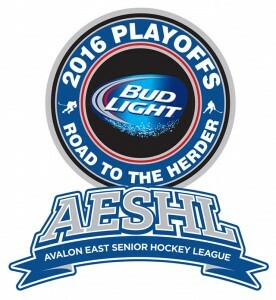 From the AESHL playoff scoring, teammates Jeremy Barron and Colin Escott, both of the St. John’s Caps, have accumulated eight points. Barron has collected four goals and four assists. Escott has netted five goals and assisted on three others in the five games the St. John’s Caps have played.